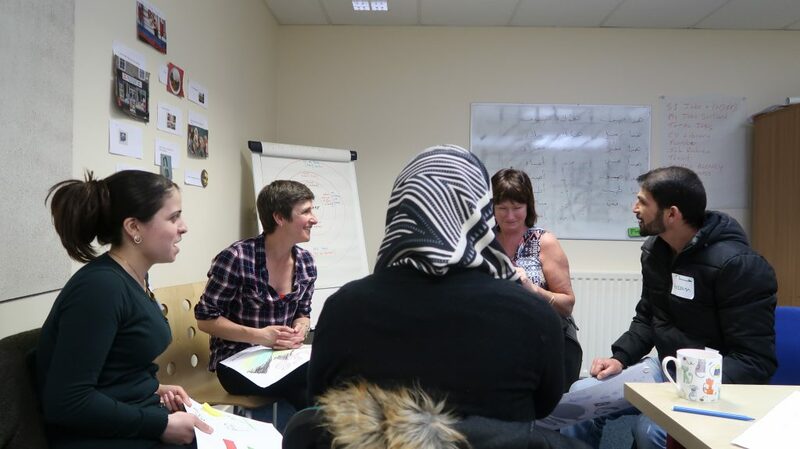 DIWC has been running a successful peer 2 peer education pilot programme in partnership with the Scottish Refugee Council over the past few months. This programme was developed to complement the current local authority ESOL provision, using a peer education approach to provide new Scots with opportunities for language acquisition outside the classroom and a space to share information about the local area. The first step was to recruit and train volunteer peer educators who would then lead the peer education sessions. 8 talented volunteers came forward and split into two teams. Since March they have been facilitating a women-only group and a mixed group on a weekly basis. Each group brings together new Scots and locals in a warm and friendly setting. 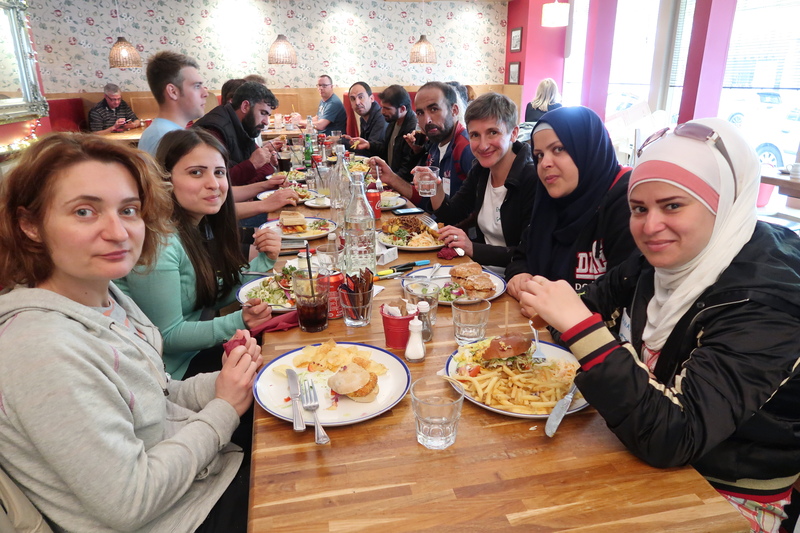 Week after week, these local members of diverse ethnic community groups have strengthened their friendship links, getting involved in activities aimed at showing that they had a lot in common. They have learnt from one another’s life experiences. This, in turn, has helped to improve their language skills in English and Arabic in an informal context. 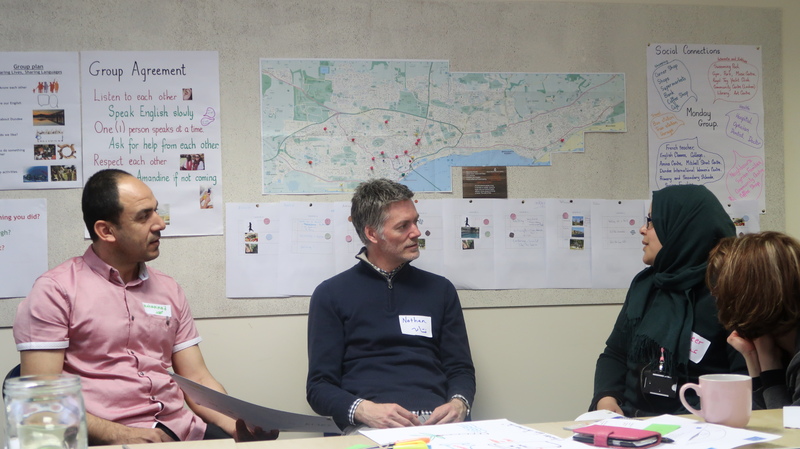 They have also planned activities in the local community to increase their social connections. Recently, our women-only group went for a walk. 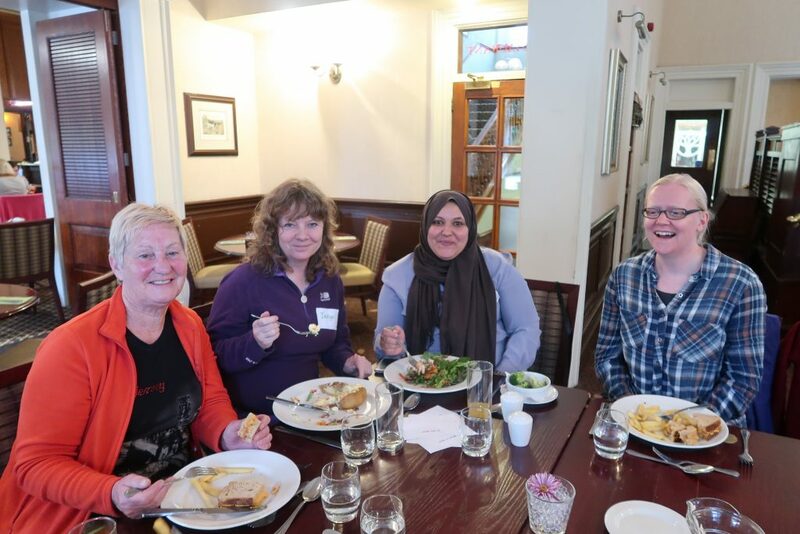 They finished up with a tasty lunch in Broughty Ferry with members of local walking groups. Our mixed group played tennis in Dawson Park with local tennis pals and enjoyed a tasty lunch too! To find out about the other classes DIWC offers click here.